New Zealand police have busted at least three “Green Fairies” – providers of medicinal cannabis to patients who need it, often for little or no charge – including well known activist Rose Renton. This tacit approval has led to some growers and providers switching to become so-called “Green Fairies”, people who provide medical cannabis products to patients who need them, often at little or no cost. It is very difficult to obtain medical cannabis legally in New Zealand, and Green Fairies are providing an essential service to many seriously ill people who would otherwise suffer. Police say they have discretion – so why aren’t they exercising it? Why the raids now? Why proceed with prosecuting these green fairies? It may be related to Dunne retiring, or to the changes to the regulations governing the non-psychoactive cannabinoid CBD, which is often extracted from the hemp plant. We have campaigned to change the rules around CBD, and dispute that it is even a controlled drug, and have warned that the changes promoted as “legalising” CBD have actually made it worse in many respects. These Green Fairies are being represented by lawyer Sue Grey, who like Rose Renton is a previous winner of NORML’s Awards. There is a Give-a-little page set up to donate towards legal and other costs needed to mount successful defences. Please give generously, as we need a positive outcome for the sake of all the patients who rely on medicinal cannabis. If you prefer, you can donate to NORML and we will pass it on. Another well known “Green Fairy” is due to appear in the Nelson District Court today charged with offences relating to cannabis. Medicinal cannabis advocate Rose Renton faces charges in the Nelson District Court today of growing medicinal (high CBD) strains of Cannabis and making (high CBD) products for hospice patients and others with chronic pain. Rose Renton presented a 17000+ signature to Parliament earlier this year seeking safe affordable medicinal access to cannabis. 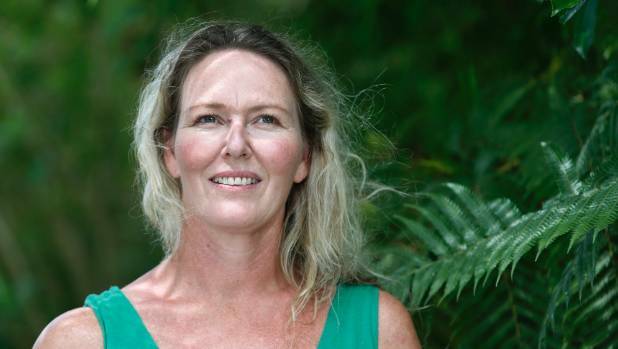 Lawyer Sue Grey said the recent prosecution of at least three Green Fairies by the NZ Police is a tragedy for hundreds of sick and dying New Zealanders and their caregivers as their medicine has been seized by police. Many are suffering from life threatening conditions, debilitating pain and/or chronic auto-immune disorders and report considerable relief from various cannabis products. Law reform is urgently required said Sue Grey. Cannabis is now widely recognised internationally as being extremely beneficial for chronic pain and for an array of serious auto-immune disorders. Over 85% of New Zealanders support medicinal access to cannabis and most of our political leaders have also expressed at least some support. Our last government sat back while the world moved forwards to facilitate access to cannabinoids to take advantage of their effectiveness and absence of serious side effects. The snails pace law reform here has been too little and too late with the result that New Zealand has fallen well behind best international practice. “We have barely missed having a government during the prolonged coalition talks, however this is one issue where Parliament could make a huge difference for many peoples lives” said Sue Grey. 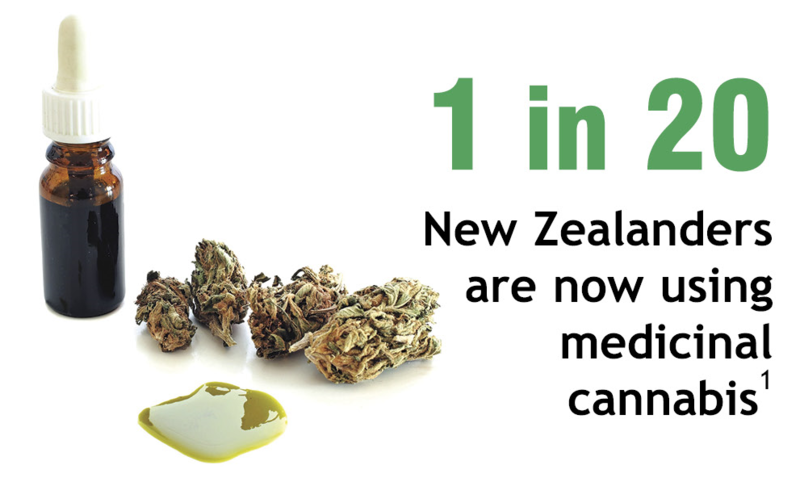 New Zealand has huge potential for a clean green hemp and medicinal cannabis industry. We have the environment and expertise to grow and process safe, affordable and effective medicine. At present, instead of supporting this opportunity for economic development, government and our police continue to crushing it, prosecuting some of our most vulnerable and sick citizens and the Good Samaritans who are trying to help them. Law reforms that came into force last month to facilitate doctors to prescribe CBD products are symbolic, but make no real difference. Official information released recently by the Ministry of Health shows that so far no CBD products have been approved. Sue Grey has issue a challenge to our new government to step up and prove it cares about sick New Zealanders by urgently reforming the law. On Newshub’s 6 o’clock news last night, it was revealed two of the larger compassionate supplier’s (aka “Green Fairies”) are being prosecuted by the police, to the detriment of hundreds (potentially thousands) of patients. “The police seem quite able to turn a blind eye to the dealing of Class B Cannabis based products if your name was Helen Kelly, however the mere act of cultivating a C drug is viewed as a heinous crime that is beyond police discretion. Police Discretion is an empty promise by Politicians to dodge the issue, Police I have dealt with fear setting a precedent by exercising discretion,” says MCANZ Coordinator Shane Le Brun. MCANZ would like to see a political solution far more ambitious and detailed than provided by either of the major parties. We look to Canada as an excellent example to follow, where Cannabis products are so affordable that less than 2% of Medical Cannabis users seek permits to grow their own. “Cannabis-based products are relatively simple. It’s just another Essential Oil. The current regime ensures that only expensive products will be vaguely available, and that means patients will continue to break the law, often with the support of their specialists, and making criminals of otherwise law-abiding citizens. The costs are so high that I am aware of GPs and Specialists that are referring patients to “Green Fairies. This is a direct response to increasing acceptance of its medical benefit, and the refusal to accept the cost of Sativex which is borne solely by patients,” says Le Brun. The domestic market in Canada is considered by MCANZ to be the closest model to ideal, where products are prescribed by GPs, and the cost per mg of active ingredients are 80% less of what is paid in New Zealand currently. Nevertheless, MCANZ is committed to advocating for patients for legal access in the current system, which can take over a year of advocacy to gain approval under the non pharmaceutical scheme and then months extra again to arrange import. As many as 2000 terminally ill patients, amputees and cancer sufferers have been forced to go without their cannabis-based pain relief after two police busts involving so-called ‘green fairies’. Green fairies provide cannabidiol products either free of charge or for a small fee to those who say it helps ease their pain. Joan Cowie has stage four lung cancer and chronic obstructive pulmonary disease (COPD). But the man who supplies her cannabis-based balm, which eases the pain of her conditions, has been arrested. “He’s the man that gives me hope,” Ms Cowie says. The man, who for legal reasons can’t be identified, is one of two so-called green fairies facing charges for possessing, cultivating and supplying cannabis products. He told Newshub it’s difficult to say no to sick people. He supplies cannabis-based balms and oils free of charge or for a small koha to hundreds of terminally ill patients, amputees and cancer sufferers like Ms Cowie. After his arrest her supply is dwindling – and she knows her pain will return. Studies have shown one in 20 Kiwis over the age of 15 have used cannabis for “medical purposes”. Ms Cowie has joined a support group with other users who say pharmaceutical pain relief like morphine and codeine leave them feeling nauseous and sick. The mother of six and grandmother of eight says she’s not a stoner, and says her medicine has a purpose. She doesn’t know how long she has to live, but has a message for the government and the police who arrested her ‘green fairy’. The man charged with cannabis offences has been released on bail. Police say their role is to enforce the law, but officers do have discretion over cannabis offences on a case by case basis. Are we enforcing our drug laws correctly? As many as a thousand medicinal cannabis users are without their pain meds after two “Green Fairies” have been arrested. Ryan Bridge chats to Chris Fowlie President NORML (National Organisation for the reform of marijuana laws), also Manager of The Hemp Store and Court registered expert witness for serious cannabis charges to discuss what’s going on at grassroots level – no pun intended. Are some cops turning a blind eye? Medicinal cannabis campaigner and “green fairy” Rose Renton faces cannabis charges. Medicinal cannabis campaigner Rose Renton has appeared in court for supplying chronic pain sufferers and hospice patients with cannabidiol products. Renton appeared in the Nelson District Court on Tuesday facing charges of cultivating cannabis, processing cannabis and possession of cannabis for supply. She did not enter a plea and was remanded on bail to appear on November 14. Renton is known as a “green fairy”, a term used to describe cannabis growers and suppliers who network to help patients on compassionate grounds. She presented a petition with almost 18,000 signatures to Parliament earlier this year seeking safe affordable medicinal access to cannabis. She said then the time patients spent waiting for cannabis-based products, and the high cost involved in obtaining them was unacceptable. Her son, Alex Renton died in July 2015 after being hospitalised in “status epilepticus”, a kind of prolonged seizure. He was the first New Zealander to be treated with medical cannabidoil oil Elixinol. Renton’s lawyer Sue Grey said the recent prosecution of at least three “green fairies” nationally was a “tragedy for hundreds of sick and dying New Zealanders and their caregivers”. Grey said a reform around the use of medicinal cannabis was urgently required. While the government had begun to recognise the benefits of medicinal marijuana, Grey said there were no products legally available. “So people are put in a terrible position of having to access them through green fairies if they can, or grow their own and expose themselves to charges. New Zealand had potential to create a clean green hemp and medicinal cannabis industry. An Auckland doctor is calling on police to stop arresting so-called ‘green fairies’ who supply medicinal cannabis. Dr Graham Gulbransen, a GP for 30 years, told Newshub the arrests are causing anxiety and distress for more than 100,000 Kiwis. He’s taking the unusual step of speaking out on behalf of the country’s medicinal cannabis users. “There are 100,000 people or more who are really anxious about what the police are doing, and I’m calling on the Police Commissioner to stop the prosecutions,” he said. One of those prosecuted is Rose Renton, who had fought to get her dying son treated with cannabidiol (CBD) oil. She appeared in court on Tuesday charged with cannabis offences. Her arrest is the third of so-called ‘green fairies’ in recent months where dealers of CBD-based products, or medicinal cannabis, have been targeted by police. “These are very distressed people and if they can’t get their medicinal cannabis supply, we’re increasing their levels of suffering… so I’m really upset,” Dr Gulbransen said. The police busts have disrupted supply to hundreds of patients across the country. A law change last month allowed CBD to be prescribed by doctors but patients are struggling to find products. That’s because certified CBD suppliers, like Canadian firm Tilray, are still working through paperwork to import supplies. Tilray told Newshub it hopes the first batch will arrive next month. “In the meantime, we’re relying on compassionate green fairies to help where we can’t,” Dr Gulbransen said. However his plea has fallen on deaf ears. On Thursday afternoon, police told Newshub their role is to enforce the law and that their approach to cannabis has not changed.